Once inside, I was surrounded by old toys and the people who love them. There was, in my opinion, an awful lot of junk at most of the tables. To be fair, I’m not the intended audience for a show like this. It was a fun, but short, trip down memory lane to see all the old Kenner Star Wars toys and accessories, as well as the old G.I. Joe figures, vehicles, and whatnot. 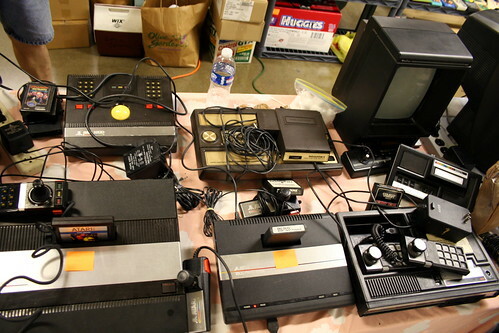 There were a couple booths selling old school consoles and game cartridges, like the Atari 2600 and Atari Jaguar, as well as the TurboGrafx 16. 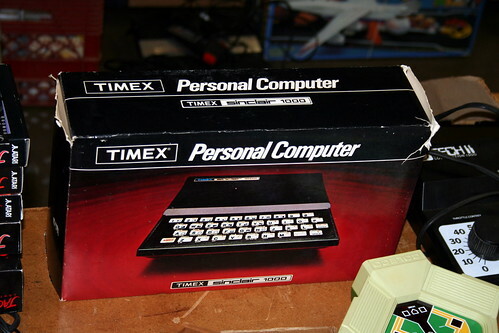 One guy even had a Timex Sinclair 1000 computer! 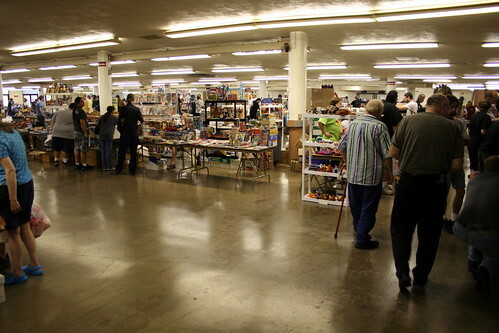 I found myself wondering about collectors as I wandered around the small convention hall. I’ve never been much of a collector, and as I grow older I find the desire to have stuff ever dwindling. I don’t want to have things that I won’t use, and I really don’t understand the desire to buy something that will remain in its packaging. This should not be construed as a value statement against collectors of any sort: if that’s the kind of thing that makes them happy, then I say go for it. It’s just not my thing. 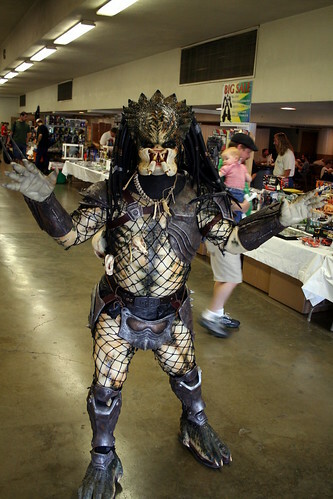 I didn’t buy anything at the show, though I admit that I was tempted by the Sectaurs action figure I found. 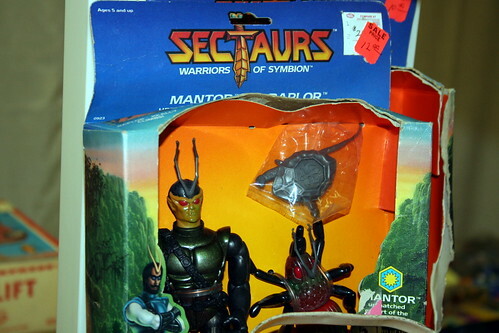 I always wanted Sectaurs as a kid, but never got any. The most inappropriate thing on display? 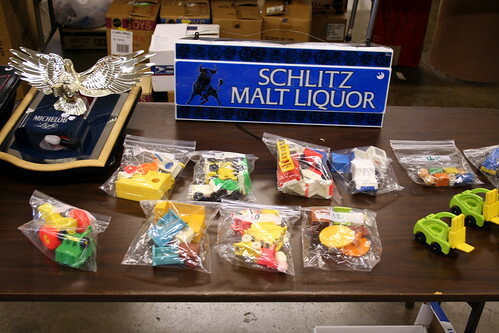 The Schlitz Malt Liquor plaque sitting alongside some toy trucks!